This was a recently commissioned piece. 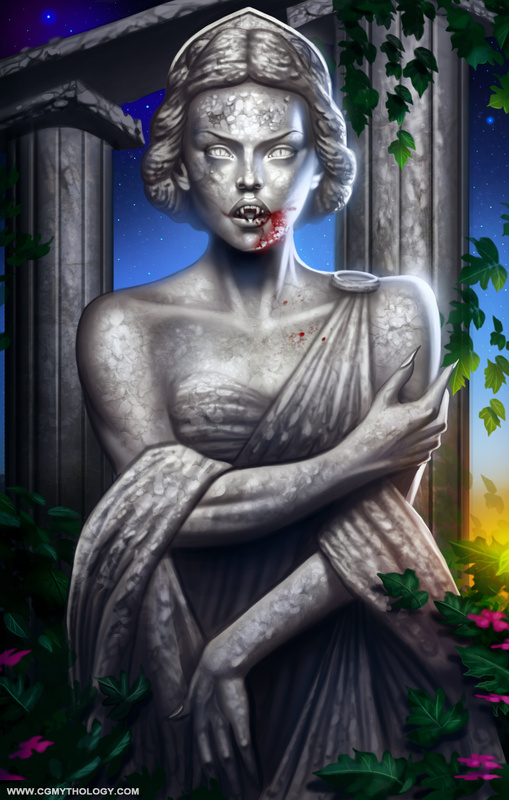 The subject matter involved two of my favorite subjects; Statues and Vampires! Had a lot of fun with this one. The texture work was definitely the most challenging and time consuming aspect of this image, but I think the effort was well worth it as it led to a very believable result. Hope you enjoy! Step-By-Step images can be seen on my ArtStation as well.